The Honourable Minister of Transportation, Rt. 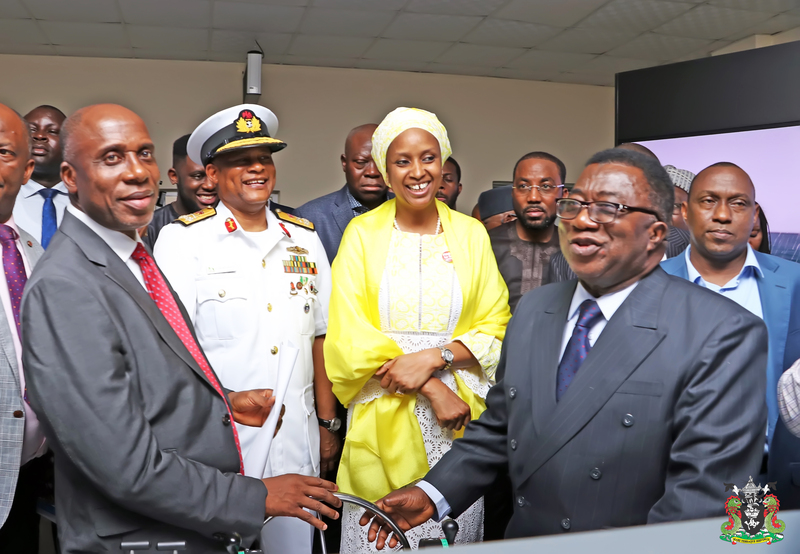 Honourable Rotimi Chibuike Ameachi has lauded the Management of the Nigerian Ports Authority (NPA) at the establishment of an Ultra-Modern Marine and Harbour Simulation Centre at Dockyard Apapa. Addressing stakeholders at the commissioning of the Centre, the Minister said the feat would save the Federal Government Foreign Exchange that would have been used in training personnel abroad just like it is a statement that government is desirous of encouraging local content in other to grow the economy. According to the Minister, “it is a testament that we are attaining the status of the desired Maritime destination of choice”. “This facility would attract professionals from within and outside the country” he added. He commended the inter agency collaboration within the sector and urged its continuity for greater dividend. 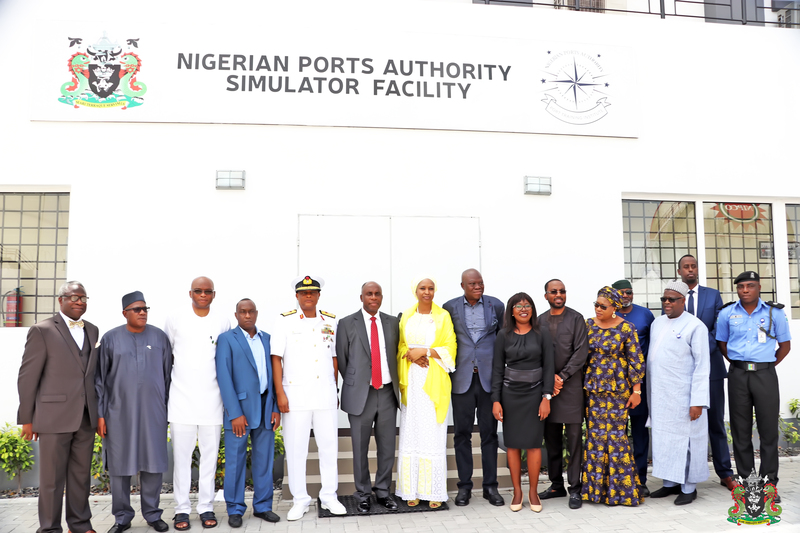 Earlier in her address, the Managing Director of Nigerian Ports Authority (NPA), Hadiza Bala Usman stated that the commissioning of the Centre Signals the Federal Government’s preparedness and firm resolve at competing most favorably in the Global Maritime space. She informed stakeholders that the Marine and Harbours Ultra-Modern Simulation Centre is expected to engender greater operational efficiency in the activities of the organisation with the expectant patronage from within Africa and indeed globally. In addition, the MD affirmed, that today’s event, would build the capacity of our Operations Personnel, the Pilots, Marine officers, Tug Masters, Radio Signal Operators and prepare them to respond appropriately to the challenges of their various schedules. Hadiza reaffirmed that with the Centre fully in place, our Ports would benefit immensely through the increase in numbers and receipt of bigger vessels at our Ports. Management she stated would be glad at seeing that the facility is put into good use by all at all times. “The Authority pays high premium on the capacity of its personnel to be the best at their schedules and various duties in other to respond to greater operational challenges”. Furthermore, Usman told stakeholders that the commissioning of the Centre is “part of the Authority’s strategic positioning and intent at becoming the leading powers in Port services in Africa and beyond. The NPA MD, stated that the commissioning of the Centre is a reminder to all and sundry and a critical pointer at the fact that matters concerning occupational health and safety standards 18001 and ISO 9002 compliance drive are expedient issues requiring all hands to be on deck in other that they are accomplished assiduously soonest. Describing the facility as a national pride, she implored administrators of the facility and stakeholders to always observe required Standard Operational Procedures (SOP) adding that Management of the NPA would prioritize maintenance of the Centre “we must all commit ourselves to the sustenance and continuous improvement of the facility”. She appreciated the commitment of staff of the NPA and the encouragement from the ministry especially the Honourable Minister of Transportation, Rt. Honourable Rotimi Chibuike Ameachi at the timely completion of the project. On his part Emmanuel Olajide Adesoye Chairman board of directors of the NPA commended the synergy harnessed by the management of the authority resulting in the commissioned facility stressing that it would help in advancing the industry forward much as it would result in boosting the nation’s economy.